If fine lines and wrinkles are detracting from your appearance and harming your self-image, then it’s time to consider non-invasive cosmetic enhancers like Botox and Dysport. Backed by decades of clinical research, Botox and Dysport have been proven safe and effective to reduce the appearance of moderate to severe wrinkles. After just one treatment with Botox or Dysport, you’ll have noticeably smoother skin, and the results can last for quite some time. Dysport is an injected medication that reduces activity in the muscles used for the specific, repeated movements that cause wrinkles. 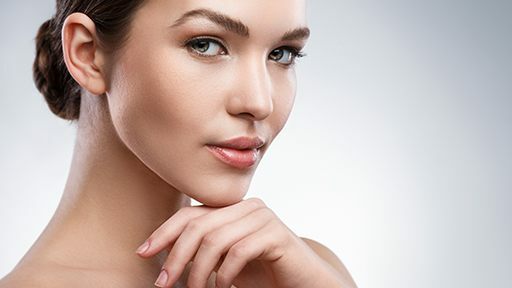 Unlike similar treatments, Dysport precisely targets muscles so patients can express their personality without worry about creating frown lines and creases in their brow line. Dysport treatment is injected into five key muscles located in the center of the eyebrows at both their lowest points and at their peaks. The injections themselves take no more than 20 minutes, and recovery time is minimal. Most patients are able to return to their regular activities right away. Some patients see results right away, but the full impact of treatment will be visible within 72 hours. Results last as long as 4 months, and repeat treatment is typically as effective as the initial treatment. This means patients can receive follow-up doses to sustain their beautiful results. The stubborn frown lines between your eyebrows may make you feel tired or unapproachable. Now, there’s a solution, and it doesn’t require surgery. Millions of men and women have depended on Botox Cosmetic to safely and effectively smooth out frown lines and create a renewed, more youthful appearance. What is Botox? Botox is a purified protein that temporarily reduces the muscle activity that causes deep lines between the brows. Botox is not surgery and does not require anesthesia; better yet, the entire treatment takes about 10 minutes. Results can last up to four months, although continued treatment is recommended to achieve an optimal outcome. Botox is a widely trusted name in wrinkle-reducing technology. Its use is backed by years of clinical research and approved safe by the FDA. Botox is most commonly used to eliminate deep frown lines and wrinkles that blemish the forehead. Dr. Wagner will discuss the details of each of our cosmetic and skincare treatments to help you find the solution that’s right for you. Whatever option you choose, your results with Dr. Wagner will undoubtedly be the same: rejuvenated, younger-looking skin that looks as beautiful as you’ll feel. Your Jacksonville Beach, FL cosmetic dentistry and skin care provider is now a Brilliant Distinctions participating practice as well! Like many reward programs, Brilliant Distinctions allows you to earn points by purchasing Allergan brand products at our office and online at the Brilliant Distinctions Mall. You can redeem your points at a participating practice or use them to purchase items in the online mall. It’s simple: earn, redeem, and save. If you’re planning to visit ECCELLA for Botox or Juvederm treatment, ask about signing up for Brilliant Distinction points.